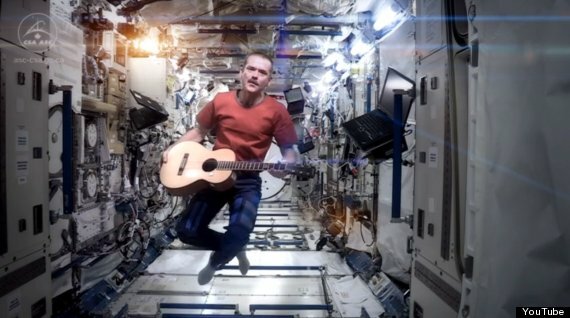 He looks like any other dad who can play a bit of guitar and sing along to a few golden oldies but in Chris Hadfield’s he gave air guitar a whole new meaning by playing it where there wasn’t any air at all. Chris Hadfield, the Canadian astronaut has a few firsst up his sleeve already. He was the first Canadian to walk in space and to command the International Space Station but his space guitar playing has made him the newest star in space. Commander Hadfield, like a lot of guitar playing dads has a grown up job, a rather serious one in fact, but it didn’t stop him doing what a lot of other old rockers dream of doing if they ever found themselves “sitting in a tin can far above the World” – yes, he actually performed David Bowie’s song, the most famous space song of all, Space Oddity sitting in a tin can far above the World. 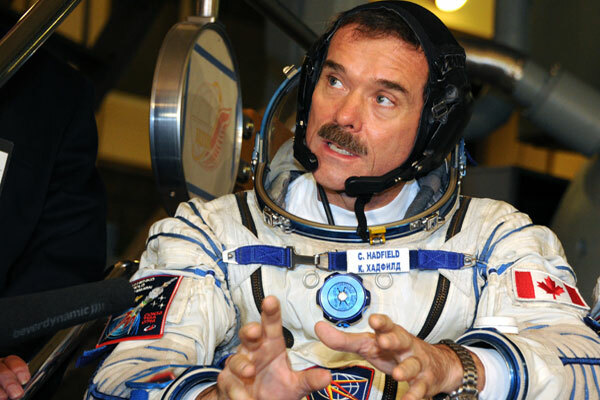 Sadly the show is over – Commander Hadfield has returned to Earth. Early this morning, he and the rest of the crew of the Russian Soyuz space capsule landed safely in central Kakhastan where they have been wrapped up in cozy blankets and before going for a medical checkup. Welcome home commander and well done sir, you entertained us all here on Planet Earth. 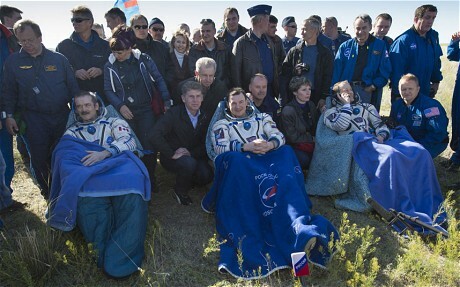 Chris Hadfield and the rest of the Soyuz crew safely down to Earth. So while he and his colleagues U.S. astronaut Tom Marshburn and Russian cosmonaut Roman Romanenko recover from their spaced out experience, here’s that video in case you haven’t seen it. Inspiring and oddly scary it is as Chris really does sound and look desperately vulnerable all the way up there in that tin can. 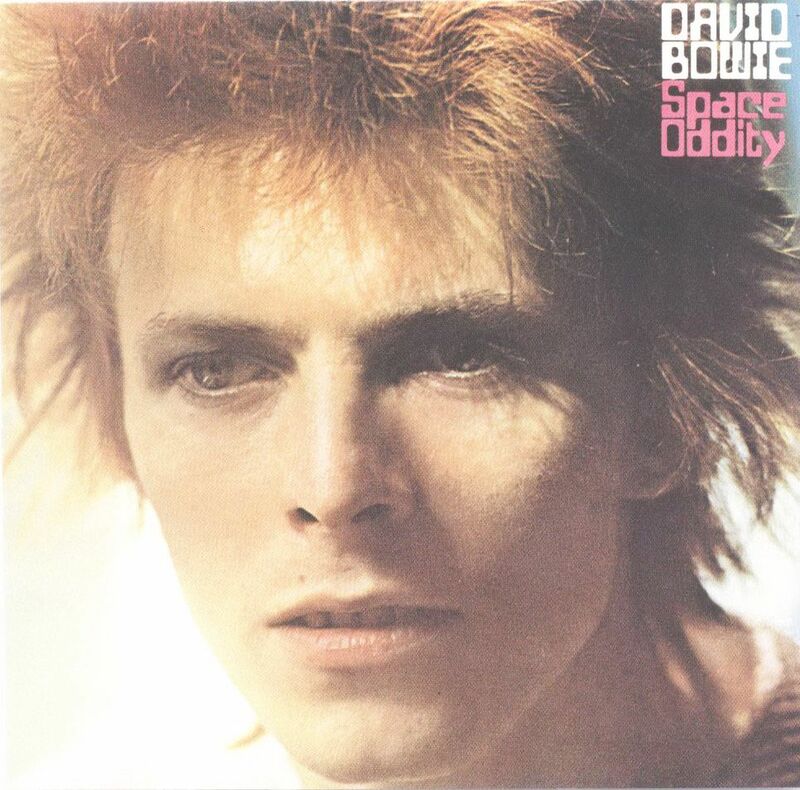 Far be it from me to want to upstage the estimable astronaut, but if you’ve been left wanting to hear David Bowie do it one more time, here he is again in the original 1969 promotion video. Who would have guessed then that one day it would be sung way up there in space.